This is Plaza Blanca, or The White Place. Georgia O’Keefe painted it, and it is feature in the film “Cowboys and Aliens.” Plaza Blanca is eerily devoid of color compared to the red rocks that are found around Ghost Ranch. For the artists reading this, or those interested in color theory, you will find this note interesting. 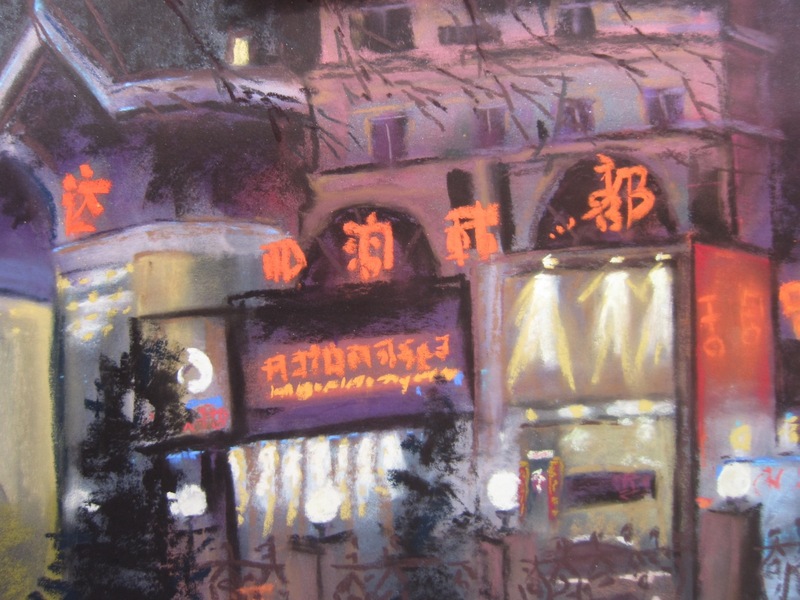 I painted this study with a set of pastels I made this week in a workshop, we made beautiful purples, and lights. One of the sticks I made was a total surprise. I mixed 5 parts ultra marine blue, with one part yellow ochre. Yellow and blue makes green right? I expected a slightly olive green. They mixed together to make the most beautiful greyed periwinkle!? The scientist in me knows that until I repeat my experiment my results don’t mean much, but for now I am left guessing that because both ochre and ultramarine and warm versions of yellow and blue, that affected their mixing to make a purple. The color is beautiful, and the surprise, a delight. For the last decade this little camper has been my home away from home. We bought it when our first son was a mere babe. This beautiful camping spot is where we have tried to spend as much of our summer as we can possibly manage. 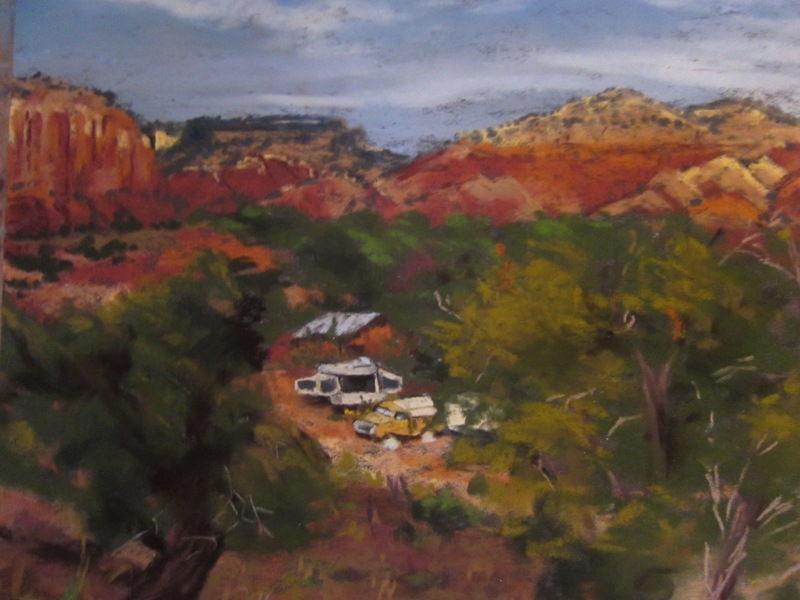 We camp next to a wonderful watercolor artist named Pomona, who lives in a little scamp, and we watch the weather and the light change over Pedernal and the mesas that surround us. This little pop-up has seen us through camping with tiny babies, terrible storms, unbearable heat, icy cold, stomach flus, and many, many good times. It has been our home base for races, and art trips, family reunions, and excursions. Friends and family have joined us over the years, and it has been base camp for many a tent village. The tiny kitchen serving parties of 30 or more, meal after meal. We probably outgrew our little base camp years ago, but as it gets cranky around the edges, we have decided perhaps it should be home to a less rambunctious crew, so we have found a new family for her, and tonight is our last night in our little camper. People often ask how we have instilled the love for the outdoors in our children. We often joke that perhaps it has something to do with the 6 of us living in our little camper most of the summer, where there is just enough room to sleep, but not enough room to change your mind. It has been a good rig, and a wonderful home away from home. This is for Buddy, who was interested in how I would paint the kaleidoscope of color I referenced last week. Thanks for your interest, and thanks to everyone who takes the time to comment on the blog, I love hearing from you. 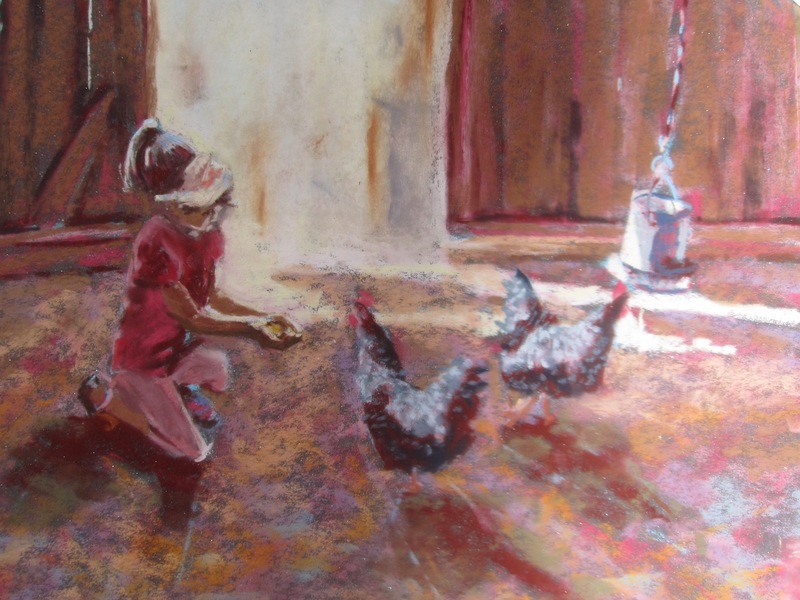 I hope you can feel your pupils constrict as you come into the dark hen house out of the bright day to witness this sweet moment. 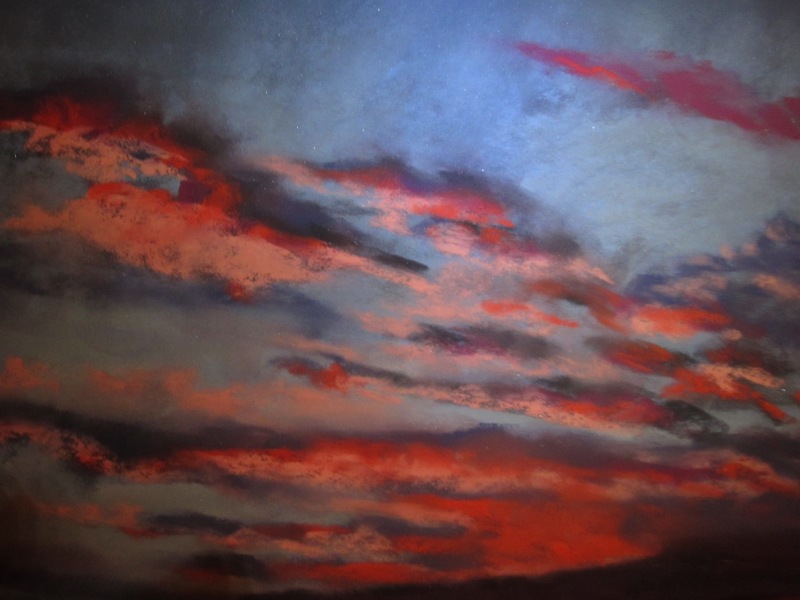 I have an artist friend named Dave, who not only can paint, but is a lovely tenor as well. I had the pleasure of painting with him last week. After painting the rocks all week, Dave asked me how I would paint a complicated city scene at night. After discussing it, we decided we would both try it this week. My plan was to have a dark painting with few lights. Well, I will start by saying it is easier to explain what to do, than to do it. The buildings were complicated for me, I found it easy to get lost in all the moldings, but it was fun to try. Thanks for the challenge Dave. 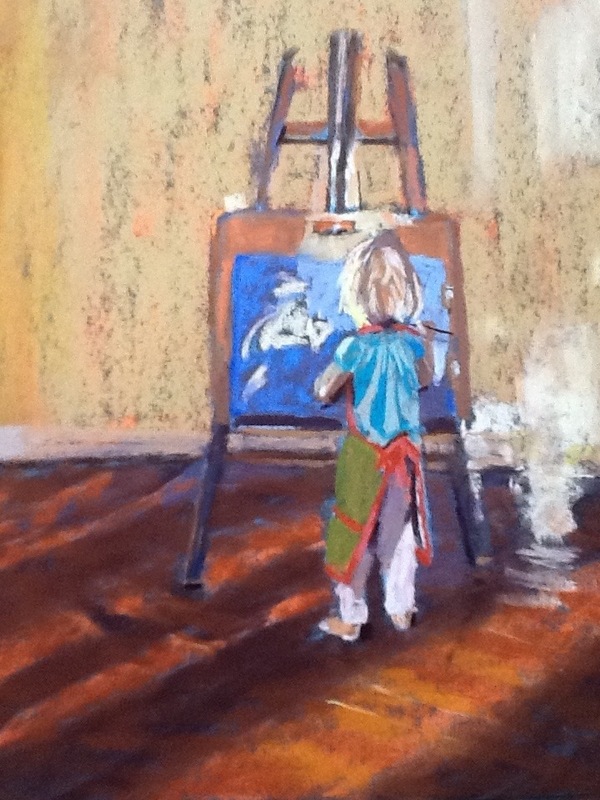 “I want to paint too Mommie,” is a little voice that often interrupts me at my easel. Little Lydia is also an early riser, and she often finds me at my easel when she wakes up. 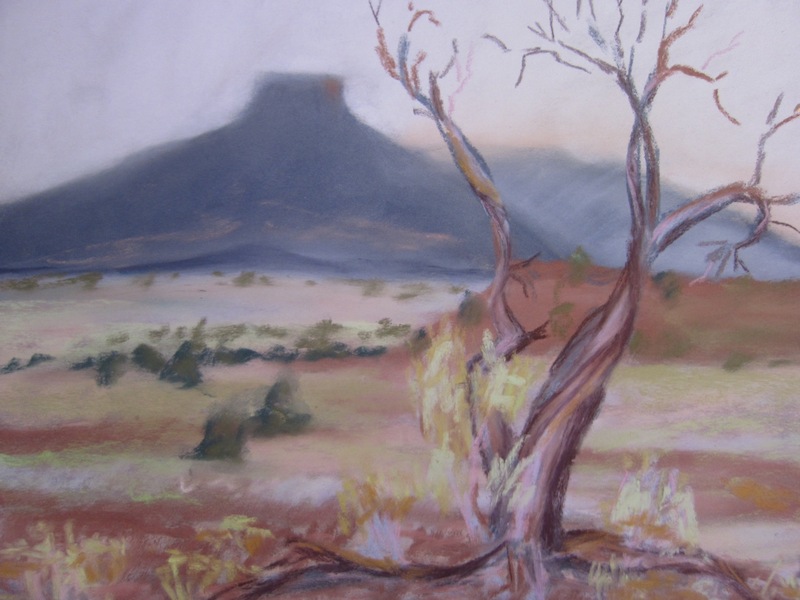 Here is my painting of her painting at her easel in the early morning light. I photographed it with my iPad, so it is a bit grainy. 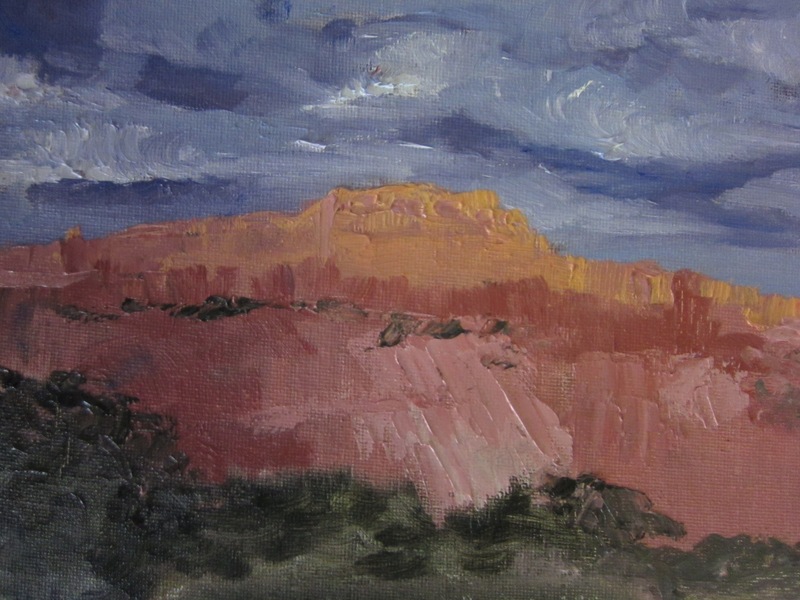 A quick study in oil right before dark. I took my workshop to a local lavender farm to paint for the day. 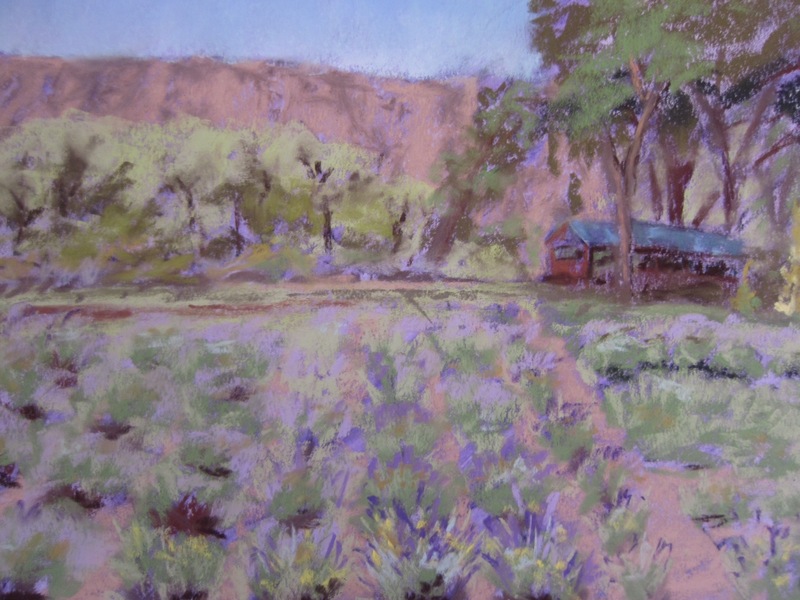 After painting red rocks plein air all week, the lavender was a delightful change. The farm was beautiful, surrounded by mature cottonwood trees, and blooming chamisa plants. We painted in the shade as we watched workers prune the bushes, placing neat bundles of lavender on top of each bush. It was really a lovely day, perhaps if you take a deep breath you can catch a waft still lingering in the air. I took my class to paint in front of Georgia O’Keefe’s house. 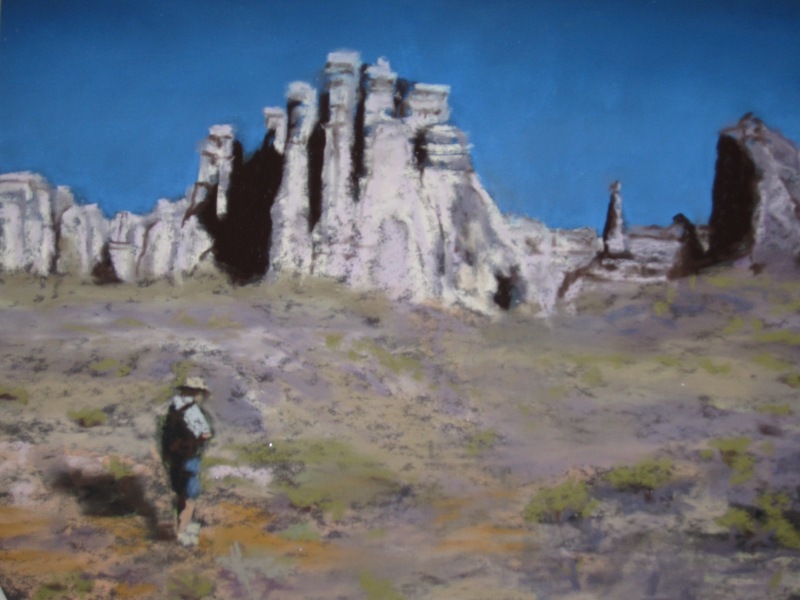 There was lots of atmosphere to subdue the colors of the desert. We sat in the quiet colors and painted in silence. It was a special time to share together. This dead tree looks almost the same as when Georgia painted it. My workshop requested a figure demo of a figure in action. It was fun playing with the colors, and painting with such an attentive audience. 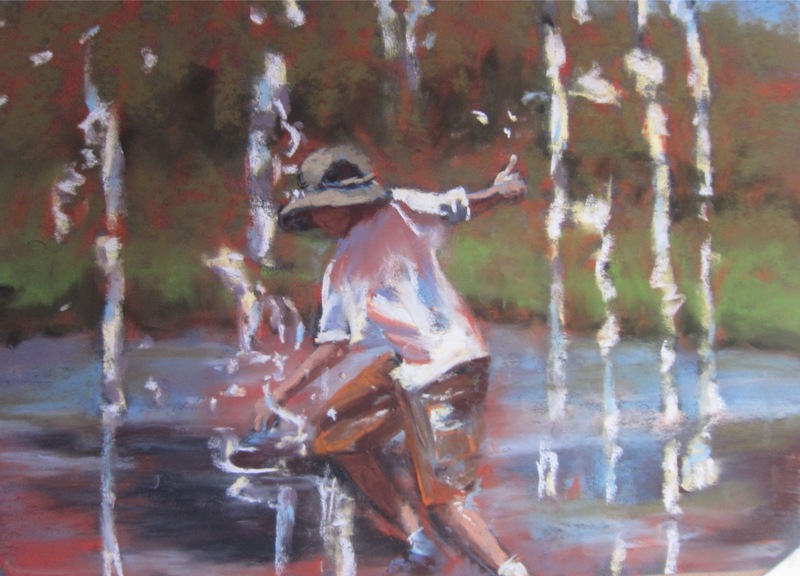 If you haven’t run through a fountain or sprinkler lately, perhaps it is time.